This concise book tells the absorbing story of the development of one of the greatest public institutions in the country. Beginning with the land grant that established a university in California, the accessible narrative takes the reader through the difficulties and triumphs of the institution as it rose to the peak of scientific and scholarly stature, where it stands today. 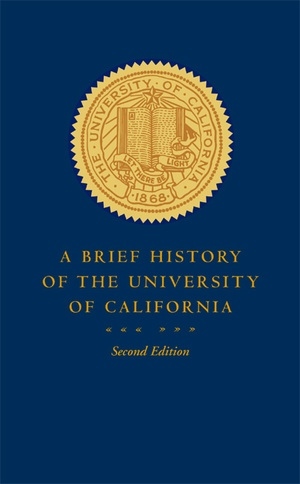 Included is a discussion of why the University of California is unique among institutions of higher learning, a chronicle of past university presidents and the particular contributions each made to the institution, an account of the university's benefactors and financial arrangements, and the development of the multicampus model. This book also covers pivotal moments in the university's history, such as the formulation of the Master Plan for Higher Education, the controversy over the Loyalty Oath, the Free Speech Movement, Clark Kerr's dismissal, the implementation of Proposition 13, and the struggle over affirmative action. The author includes a description of each campus and a wealth of historical photographs that document the rise of the university and the people involved in its evolution. Patricia A. Pelfrey is Assistant to the President, Emeritus. She worked with five University of California presidents and is currently involved in research on University of California history at the Center for Studies in Higher Education on the Berkeley campus. The University of California: What Makes It Unique?